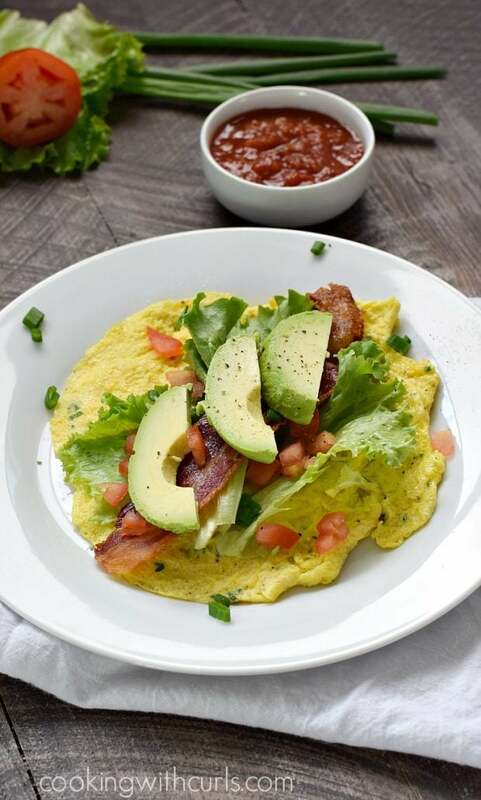 This compilation of 15 Whole30 breakfast ideas has options for everyone! 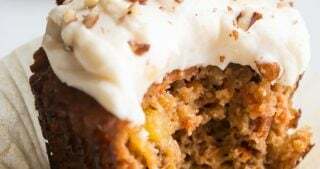 From breakfast bakes to breakfast meatballs, this roundup has Whole30 breakfast ideas that will please your entire family. So many delicious Whole30 breakfast ideas to choose from and they are so easy to make, too! 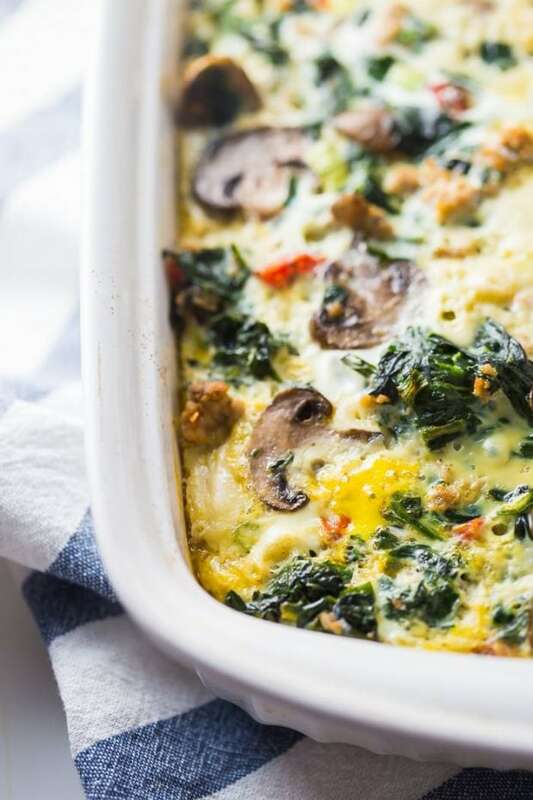 This Whole30 Breakfast Bake with Sausage, Eggs, Spinach, and Mushrooms from 40 Aprons is one of my favorite Whole30 breakfast ideas. 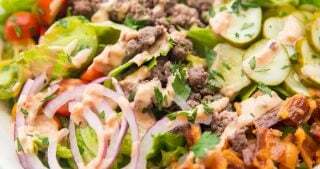 It’s packed with a lot of flavor, protein, and fiber, making you feel amazing all day long. This is a great make-ahead Whole30 breakfast and only takes 37 minutes! This Whole30 Breakfast Burrito from Cooking with Curls looks delicious and simple enough to whip together even if you are in a hurry. 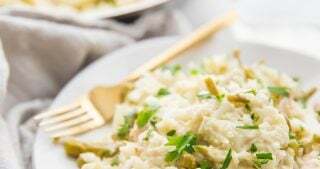 You can change up some of the ingredients if you like and you can also scramble the eggs and have a breakfast scramble instead of a burrito. 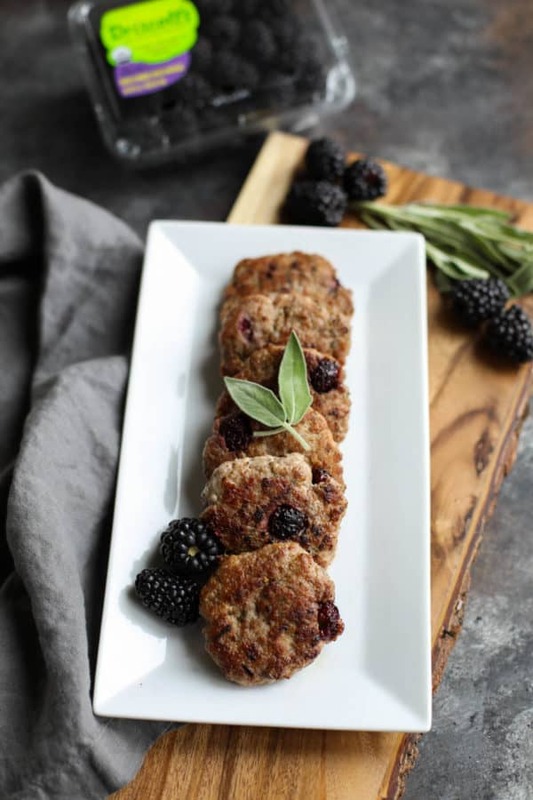 This Blackberry Sage Breakfast Sausage from The Real Food Dietitians is a great breakfast idea for the busy weekday mornings. A simple recipe you can make ahead, these are the perfect breakfast for the work week. They would also make a great addition to your Whole30 brunch. 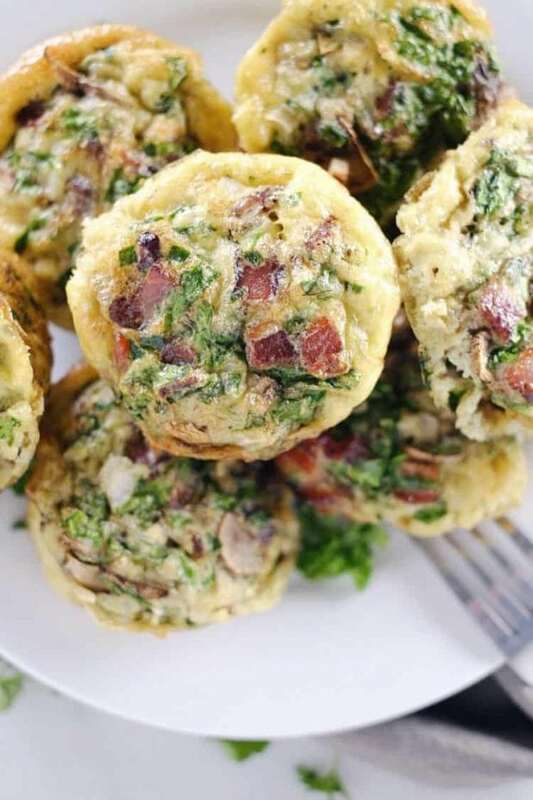 These Mushroom, Spinach, Bacon Egg Muffins (Paleo, Whole30, Gluten Free, Dairy Free) from Real Simple Good are another great breakfast you can make ahead of time. They reheat really well and can prevent you from skipping the most important meal of the day. Healthy and nourishing, these muffins should definitely be on your list of must-try breakfasts. 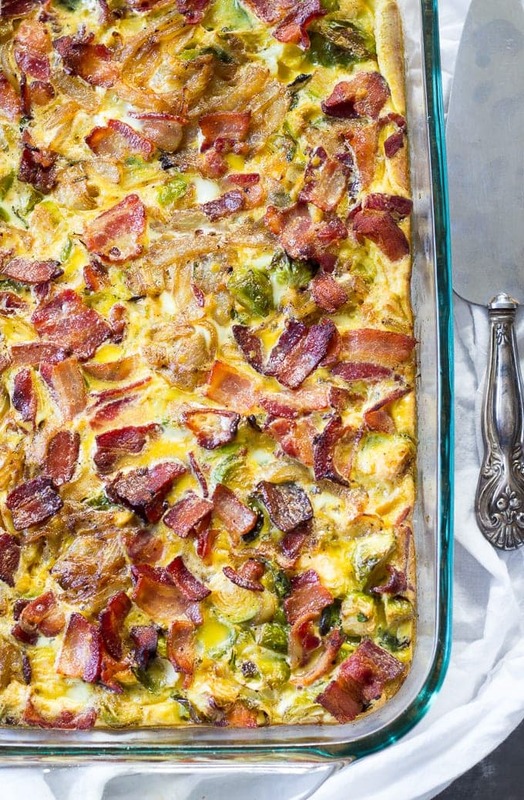 This Paleo Breakfast Casserole from Paleo Running Momma is a Whole30 favorite. 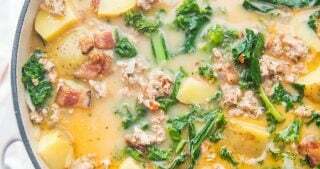 With loads of veggies, it’s got tons of flavor and satisfies the Whole30 meal template in just one dish! Also… bacon. 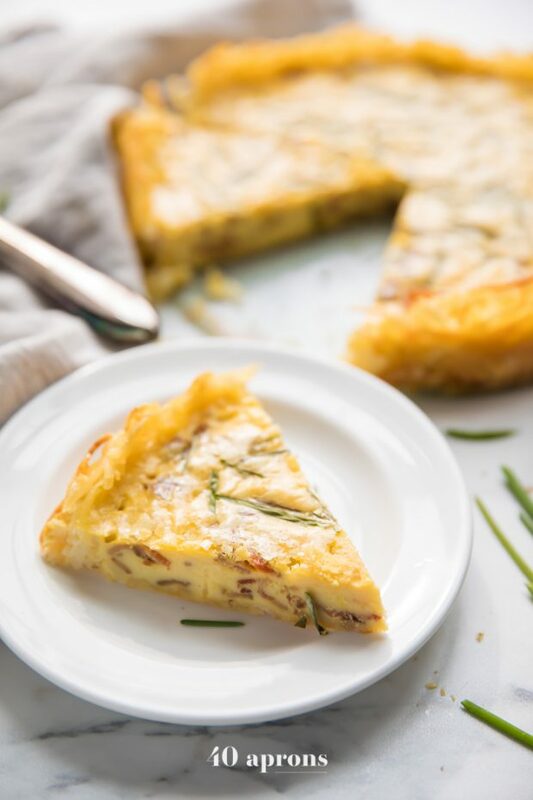 If this Whole30 Quiche Lorraine with Hashbrown Crust (Paleo, Gluten Free) from 40 Aprons isn’t already on your list of favorite Whole30 breakfasts, it should be. With a crispy, crunchy hashbrown layer, this Whole30 breakfast quiche is tender, rich, and creamy, thanks to plenty of superfood eggs, cashew cream, and everybody’s favorite: bacon. 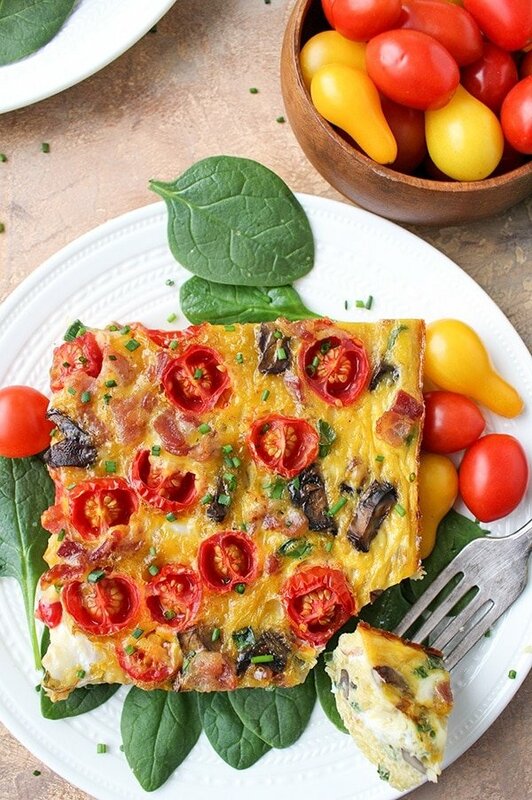 Paleo and Whole30 Spaghetti Squash Breakfast Casserole from Jay’s Baking Me Crazy is another one that’s loaded with flavor and tons of veggies. 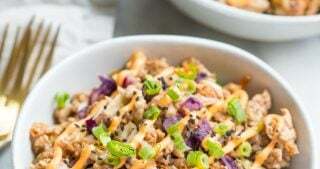 Pretty sure you’ll feel like a total boss after eating this for lunch all week, and wouldn’t Melissa Hartwig be proud! 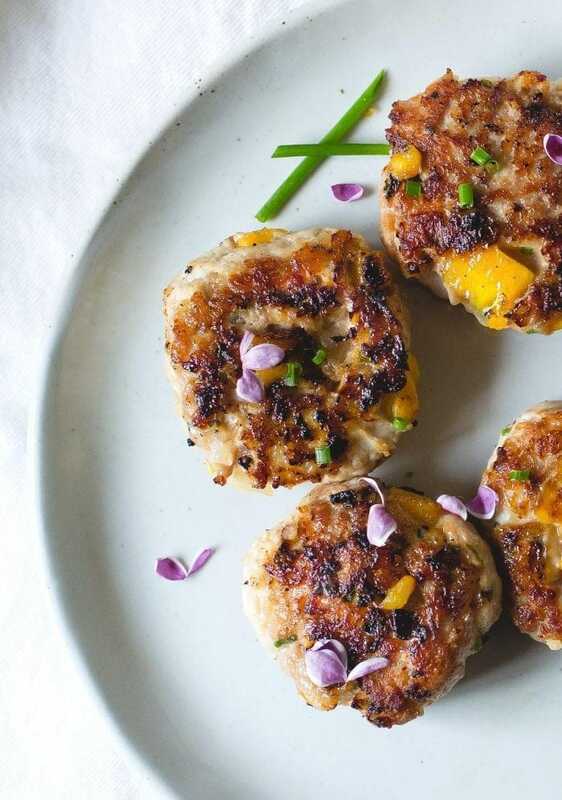 Say hel-lo to 5 Ingredient Mango Chicken Breakfast Sausage from Heartbeet Kitchen. 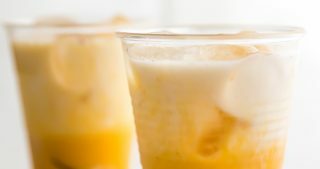 Sweetened naturally with gorgeous mango, you’ll be hitting the hay early each night just so breakfast comes early with these puppies. Cute little flowers for garnish optional… but they’ll make you feel like an Insta star. 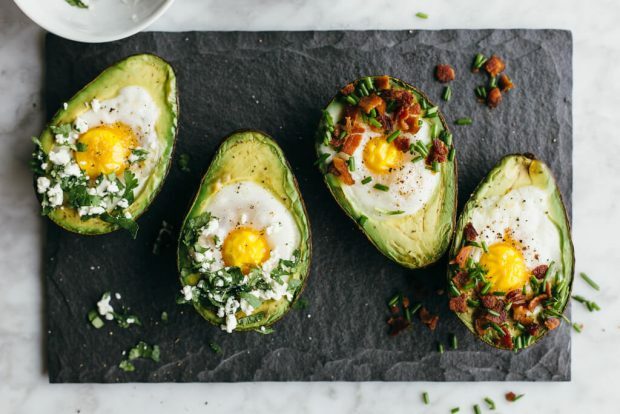 Next on the list are these Baked Eggs in Avocado: Two Ways from Downshiftology. 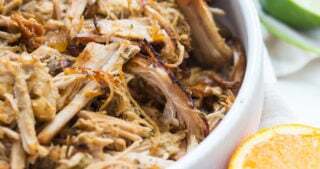 This is one of the simplest and yet tastiest recipes you can make. 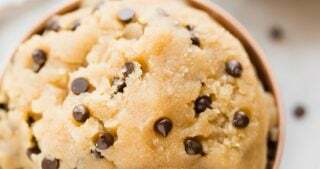 This link includes two options for toppings but the possibilities are almost endless. Of course, no cheese on these! 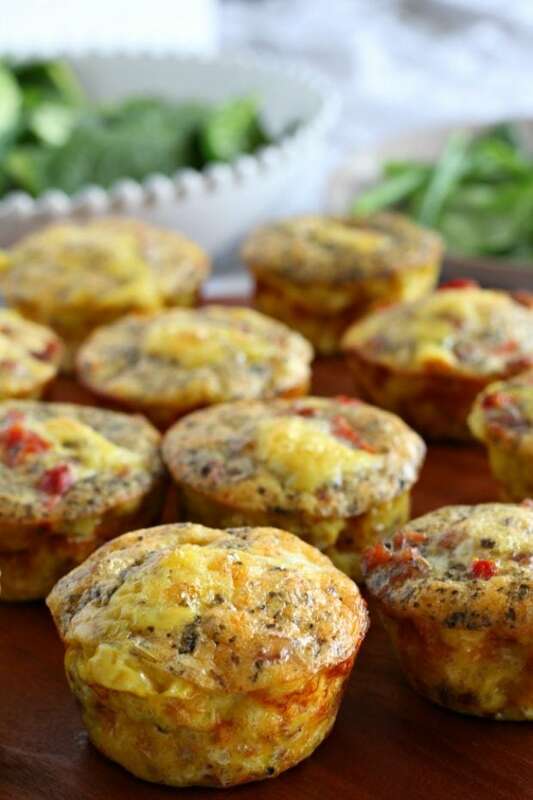 These Sausage Pizza Egg Muffins (Paleo, Whole30) from Paleo Running Momma make a great quick breakfast or even a snack during a busy week. They taste like sausage pizza which is insane all by itself. 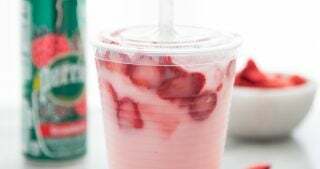 I know I’ll be trying these soon! These Whole30 Breakfast Sandwiches (Whole30 McGriddles) from 40 Aprons are easy to make and insanely good! 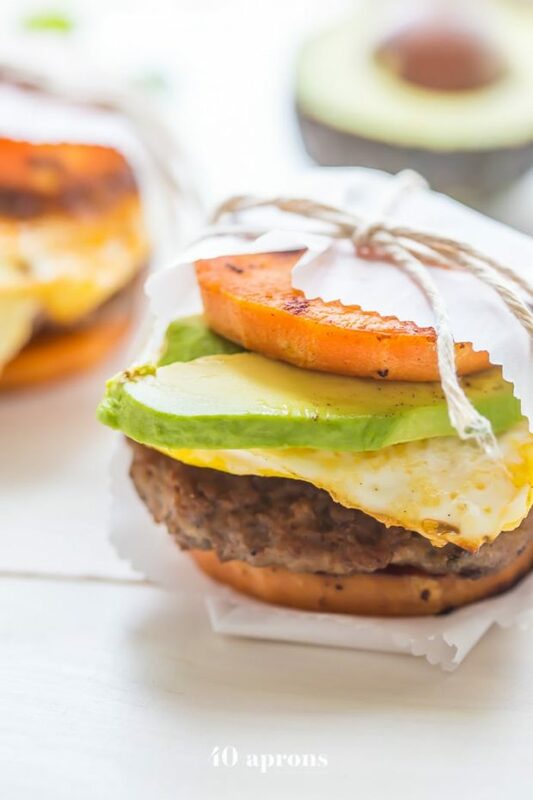 Buttery sweet potato buns layered with Whole30 breakfast (like the ones below), fried egg, and avocado. These are going to be one of your favorite Whole30 breakfast ideas. 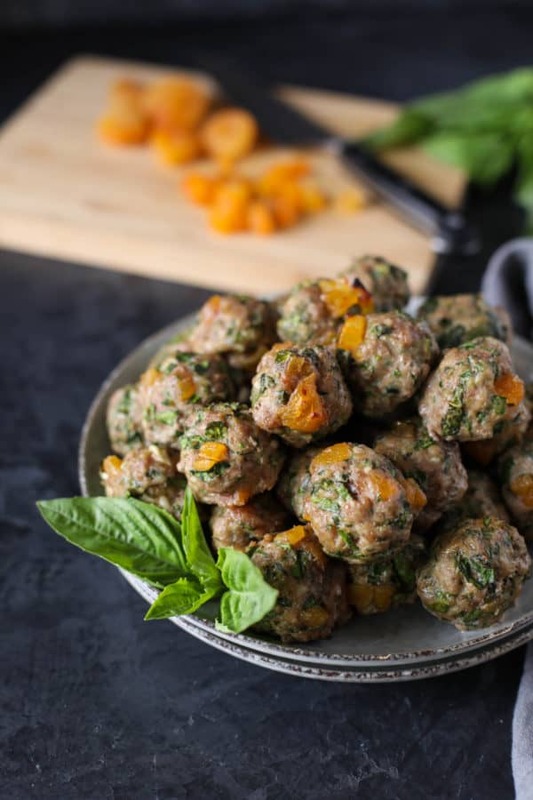 These Apricot-Basil Breakfast Meatballs from The Real Food Dietitians look unbelievably good. Apricots in a breakfast meatball?! Um, yes, please! These meatballs only take 25 minutes to make. This Easy Whole30 Breakfast Sausage (Paleo, Gluten Free, Sugar-Free) from 40 Aprons is used in the Whole30 breakfast sandwiches above and they are fantastic. It comes together with 6 ingredients in only 5 minutes and is bound to become a Whole30 breakfast favorite. 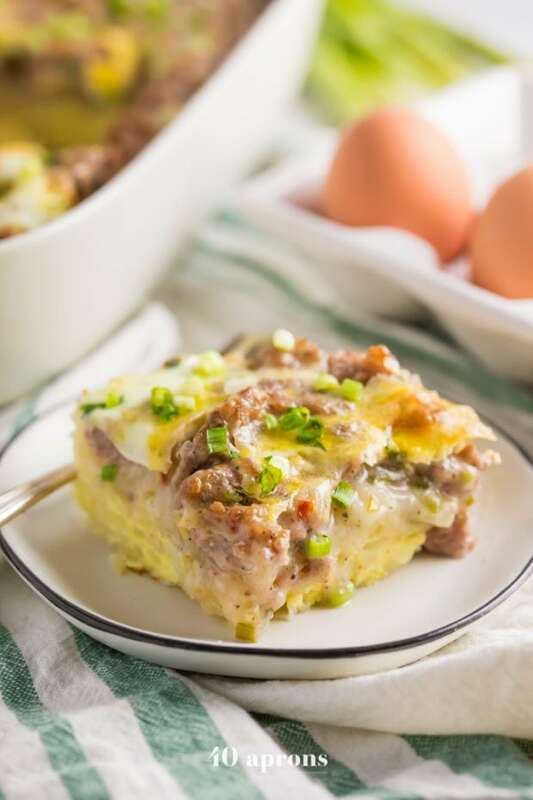 This Whole30 Hashbrown and Sausage Breakfast Casserole (Dairy Free, Gluten Free) from 40 Aprons is delicious with hashbrowns, a creamy sauce, spicy sausage, and creamy eggs. This may be in the Whole30 breakfast category but it’s delicious enough to eat for dinner. 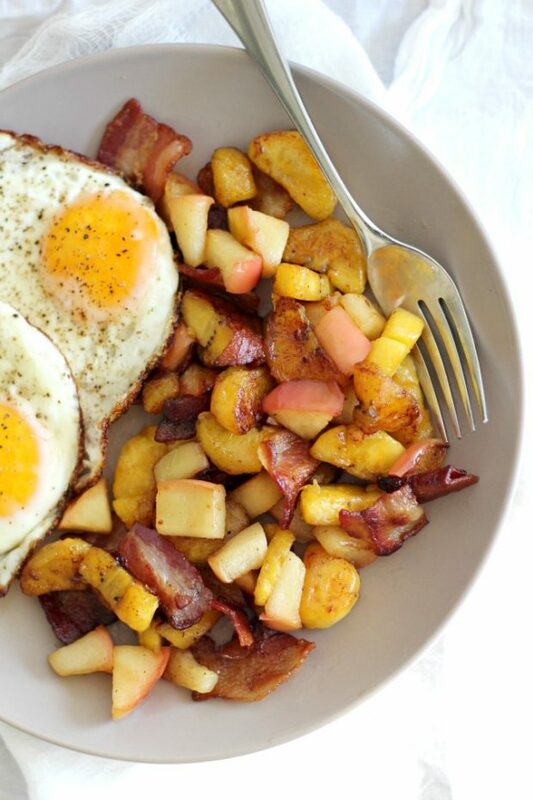 This Sweet Plantain Apple Bacon Breakfast Hash (Paleo, Whole30) from Paleo Running Momma is flavorful and nutritious. 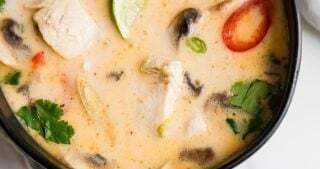 This recipe looks super easy to make and I love the flavors used in it.